If a car isn’t small, lightweight, or doesn’t have at least three pedals, then I probably don’t own it. That’s the myopic attitude that makes for a great canyon carver, but not a car that’s fun to drive on all occasions. If someone said a large, 3600 lb. car with an automatic checked all the right boxes, I would have rolled my eyes and asked if I could also start collecting Social Security. Then the 3-pointed star proved me wrong. There’s brute muscle when you want it, yet civil and quiet when you need it most. 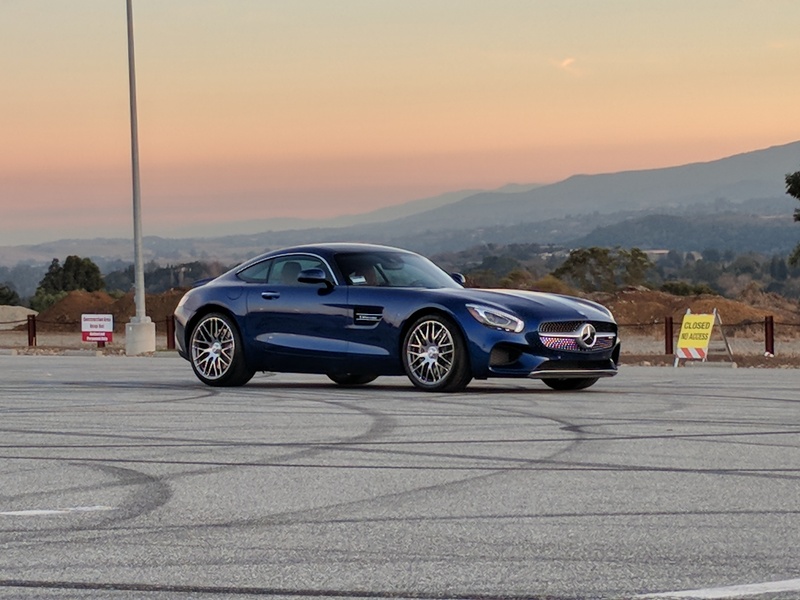 The AMG GT has perfected the multiple personalities. The supercar lifestyle may have been fun, but the V10 Lambo-in-disguise Audi R8 was attracting a little too much attention for Mr. Kyle’s tastes. 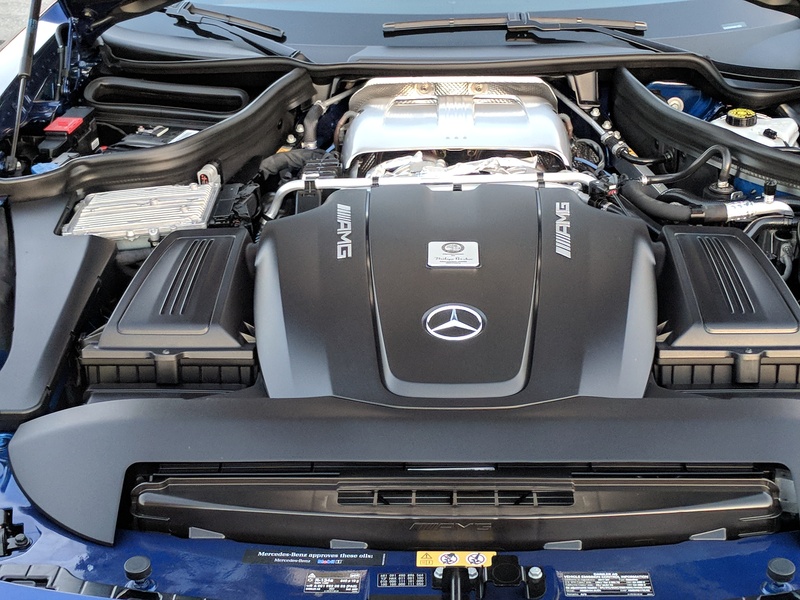 After test driving an AMG C63, Kyle decided it was time to ditch all-wheel-drive and put the engine back up front and center. That didn’t mean he needed the extra set of doors though. 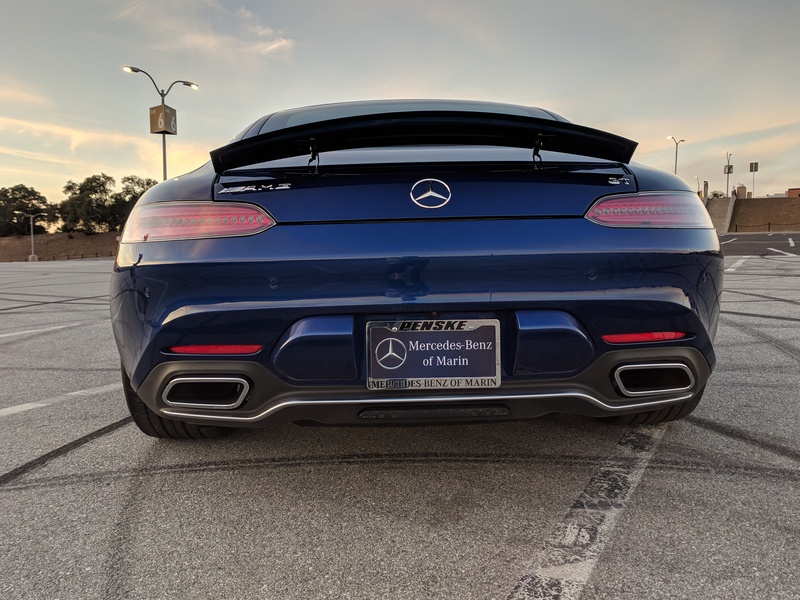 In the world of Mercedes, a two door is usually the ultimate style statement. 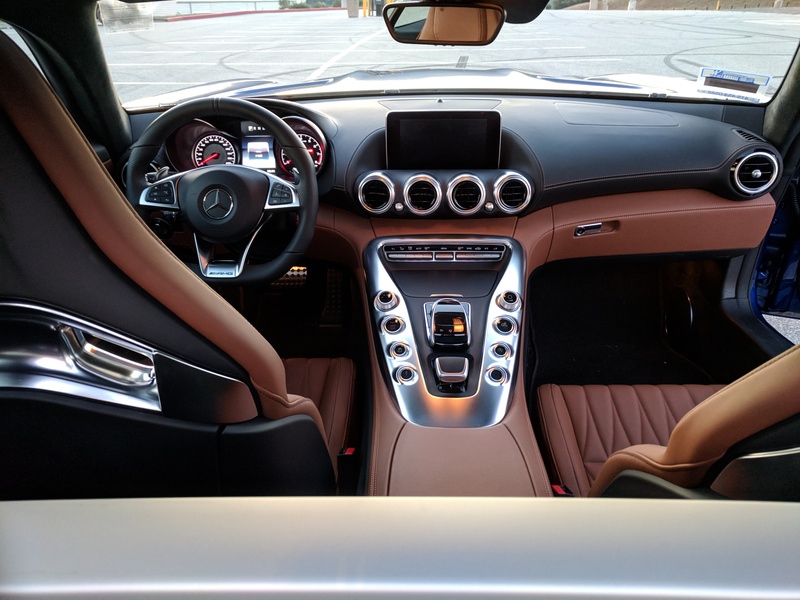 When your Benz doesn’t have a back seat either, that’s when you really know it’s something special. 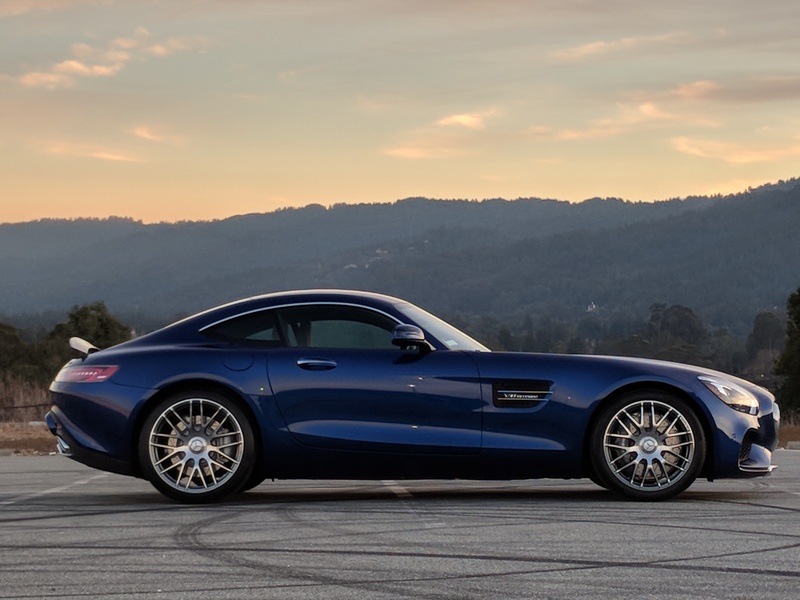 Welcome to the AMG GT. 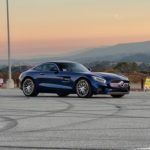 The AMG GT may look familiar, as a lot of the styling cues were first seen on the SLS gullwing that preceded it. However, the SLS was a bespoke homage to the 300SL with a sticker price north of $200k. 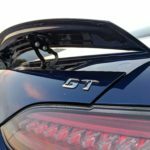 The current GT isn’t quite as wild in the styling department, but it also retails for half as much, which (relatively speaking) is a bargain by comparison. 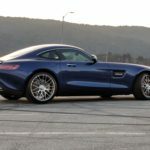 While it’s natural to want to compare the SLS to the GT, the truth of the matter is they’re two different cars. 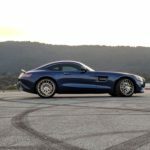 The SLS is a supercar, whereas the AMG GT is designed to be a luxury sports car. 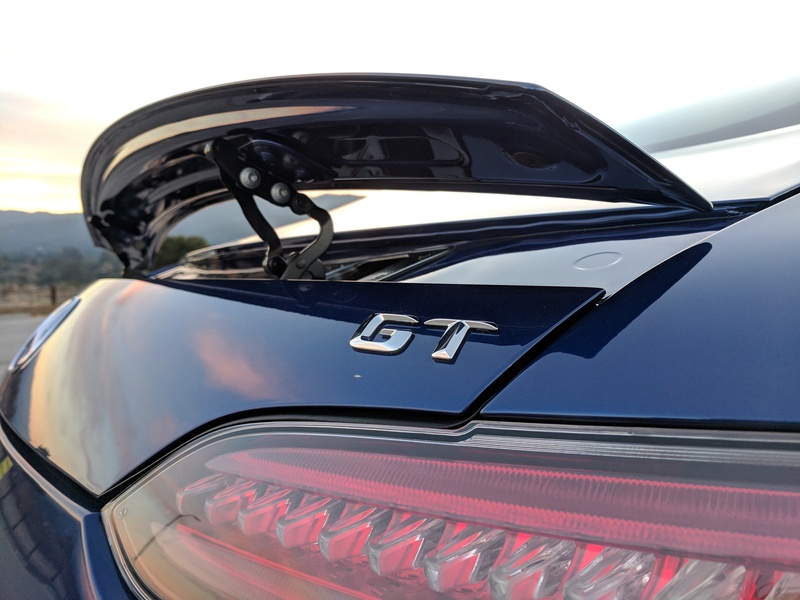 With its long hood and short fastback rear deck, the GT is a textbook example in sports car design. Looks can be deceiving, as this car is packed full of 21st century tech. 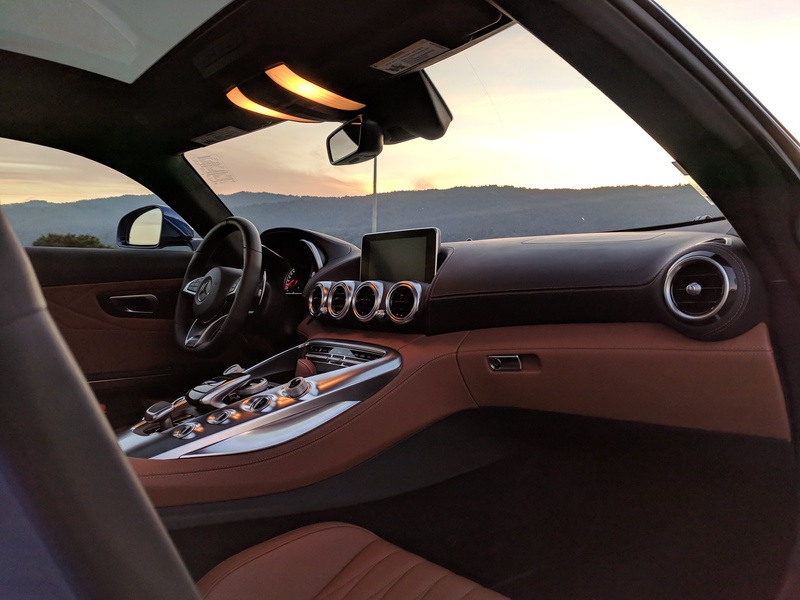 Open the pillarless doors and you’re treated to showroom of leather. This particular car has been trimmed in Saddle Brown, which looks especially sharp in the quilted pattern. 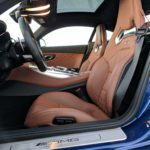 The power bucket seats are some of the best currently available (Perhaps they’re a variant of the Recaro Sportster CS, as they look awfully similar). The bolsters are both adjustable and very supportive, while the slim headrest area allow for lots of visibility. 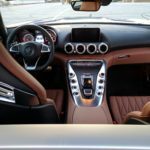 The upholstery is a work of art on its own, yet we must not forget the other attributes of the big Benz’s interior. 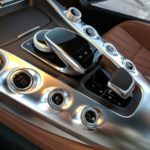 Brushed metal accents line the center console and air vents, giving a genuine sense of occasion while seated behind the wheel. In case that’s not enough, Ben Franklin and 11.5 of his identical friends will add the panoramic roof to the mix. 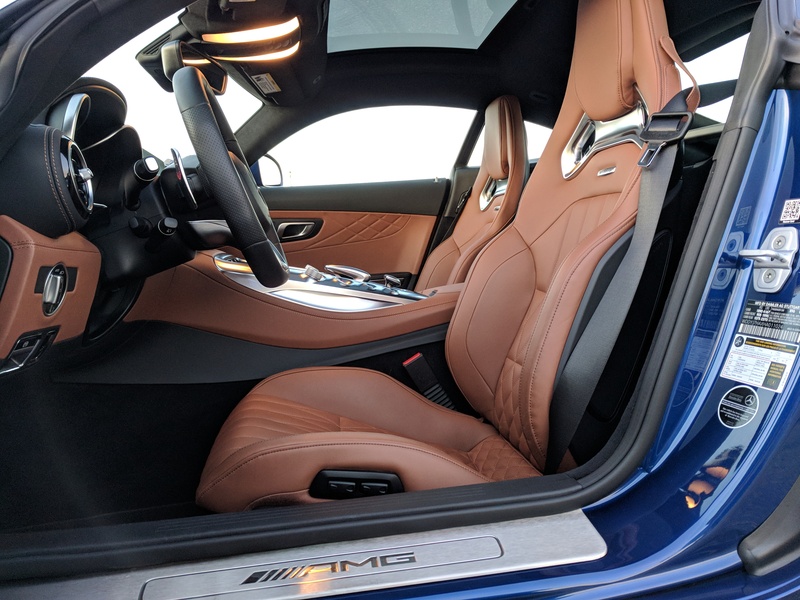 I could go on an on about the interior of the GT (in case I haven’t already…), but the true party piece is under the hood. 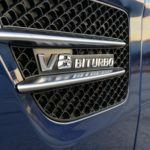 There’s a V8 like you’d expect to find in a lot of Mercedes cars, and there’s a pair of hairdryers as the Biturbo badging may have indicated. 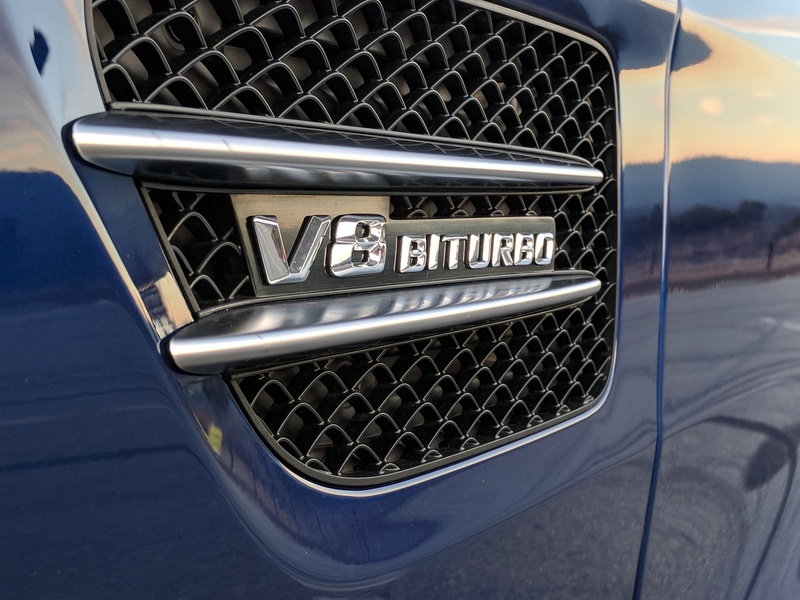 Don’t be fooled by the badge, as this isn’t your standard turbo car. Or the infamous craptastic 80’s Maserati…and that’s coming from the guy who likes square cars. 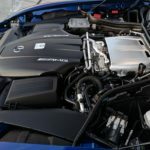 A conventional turbocharged engine will have the turbo(s) mounted somewhere on the outside of the engine block and use a convoluted set of pipes and tubes to get compressed air back into the engine. 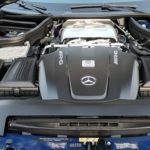 In the case of Mercedes (and now other manufacturers), the “Hot-Inside-V” setup places the turbos within the valley of the V8, so the cylinder heads have the intake ports on the outside, while the exhaust ports are on the inside. The point of this strange science experiment? Very compact packaging and virtually no turbo lag. 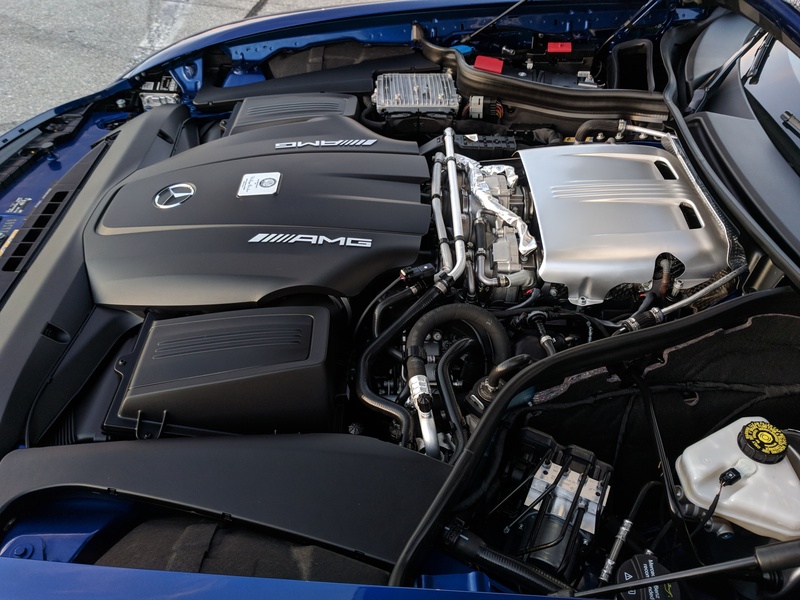 To put some numbers behind that statement, the base model seen here produces 460 lb-ft of torque from as little as 1700 RPM all the way to 5000 RPM. 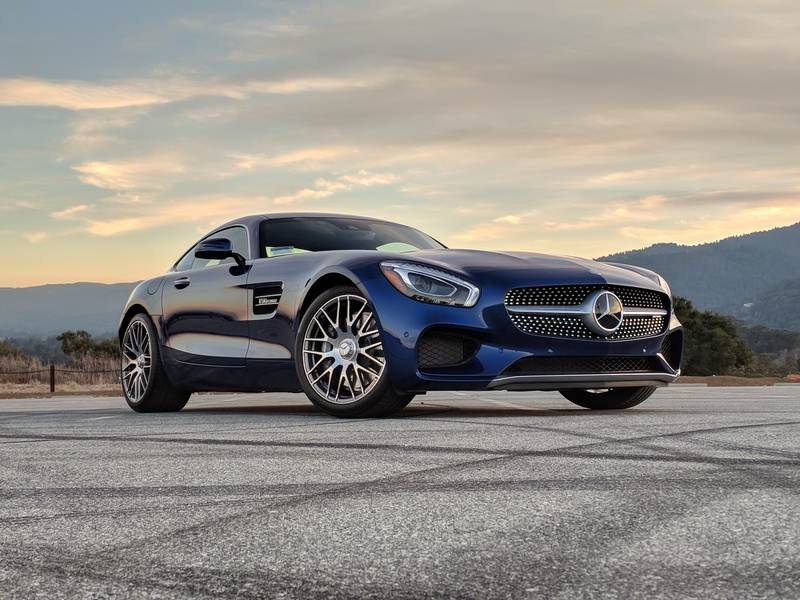 Horsepower is just as impressive, with the AMG making 470 at 6000 RPM. 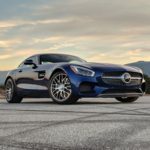 And gone are the days of sloppy automatics, as the Benz puts power to the pavement through a 7-speed dual clutch transaxle. 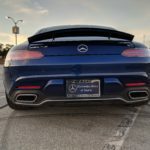 Time to put the Hammer down, oh wait, that’s a different AMG! The pictures may indicate some daylight, but I was first introduced to Kyle’s new Bahn-mobile late one foggy Christmas Eve. After receiving a few pre-flight instructions from the boss, we swapped seats and it was time to find out if this was a worthy replacement for the R8. Fire up the Benz and there’s a subtle grumble. 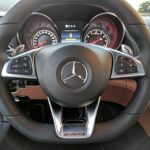 The center console has a bizarre touchpad-knob combo that operates the COMAND infotainment system (uniform and crew cut not required), but just below is the gear sector. Select drive and the GT is ready to go. 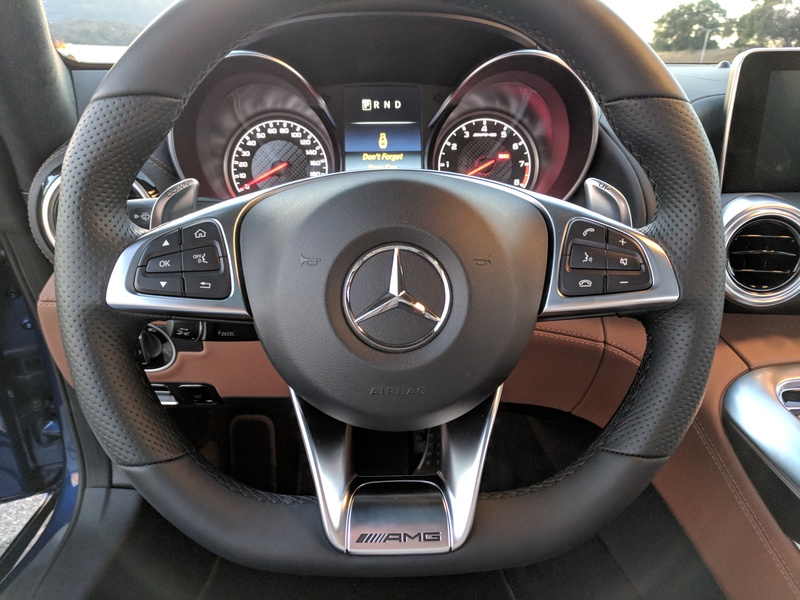 In the comfort mode, the AMG is very easy to drive. Nothing is abrupt and the suspension readily soaks up all road imperfections. This gives the driver the opportunity to process their new environment. 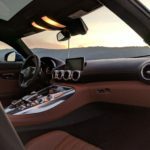 AMG’s GT is a long car. 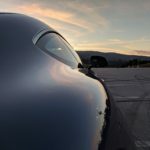 Once it’s in motion, it becomes apparent that seats are shoved all the way to rear wheels, and through the low- profile windscreen is the expanse of the hood and fenders. The irony is that the engine sits behind the front axles, so there’s a lot of real estate between the front of the motor and the nose of the car. It’s ok though, because any car with body lines that match industry greats like the Jag E-Type has got to be doing something right. 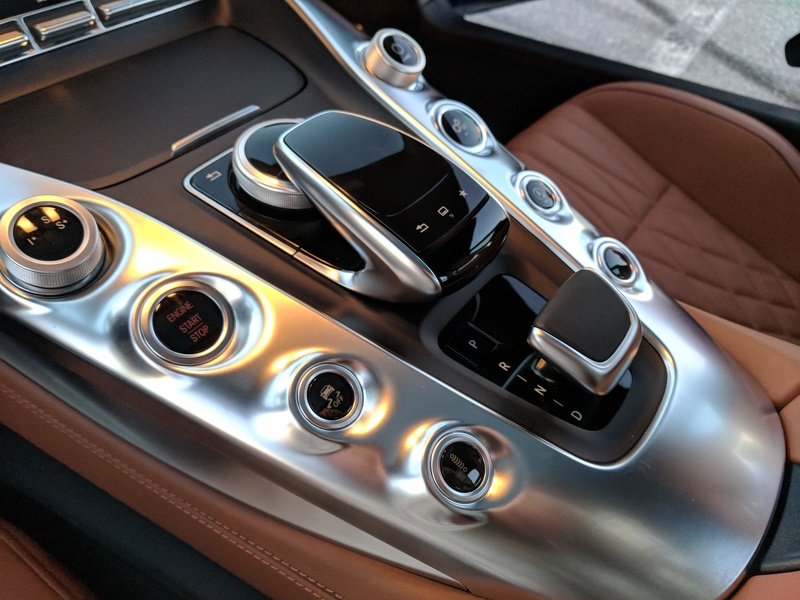 After Foghat and the slow ride are over, switch the car into one of the sport modes to firm up the suspension, and hit the extra center console button to manually change gears. Things are about to get serious. Mash your foot to the floor and the GT shoves you into the seat. 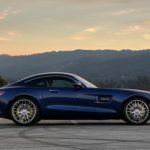 With torque instantly on tap, the fastback coupe fires through the gears on to speeds that local law enforcement especially should not catch you in the act, all while the V8 expels its Benz trademark snarl. Due credit goes to the DCT transmission; shifts are instant, and more importantly, buttery smooth. The brakes are equally potent. Stab the pedal to the left and the GT will come to a halt as if the car hadn’t been moving at all. 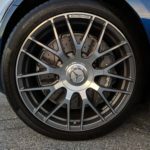 Front and rear rotors are both 14.2 inches in diameter, but the front end gets treated to 6 piston calipers. 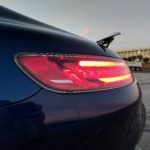 Should Autobahn and racetrack speeds be a daily occurrence, The higher trimmed GT’s come with even bigger brakes. Going fast in a straight line is one thing, but a 4th gen LS1 Camaro will do the same thing for pennies on the dollar. This is where the GT is the total package. Yes it has brute force to pile on the miles, yet it’s the steering that I felt to be one of its most redeeming features. 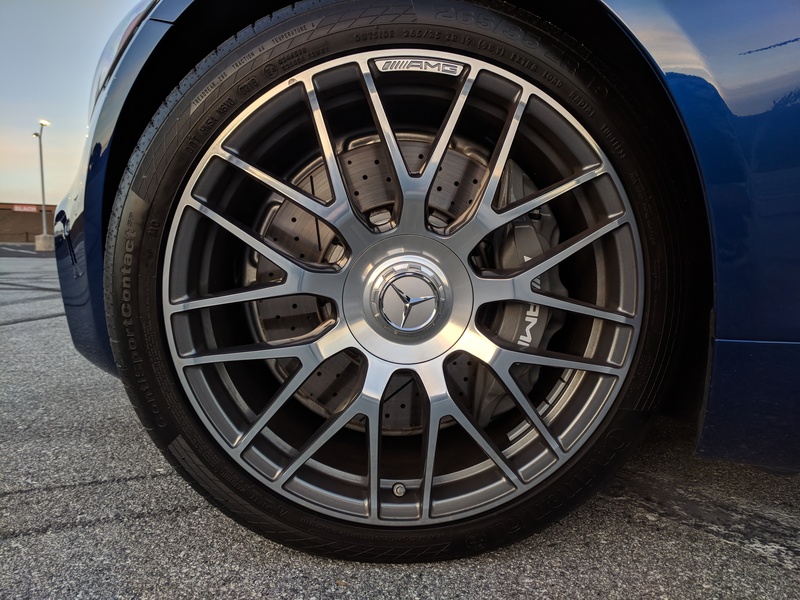 Mercedes decided to put a hydraulic rack in the GT, which provides superb feedback through the perforated leather 3-spoke wheel . The car is so easy to point, and tracks well thanks to the long wheelbase. This is one of the most surefooted cars I’ve driven in a long time. 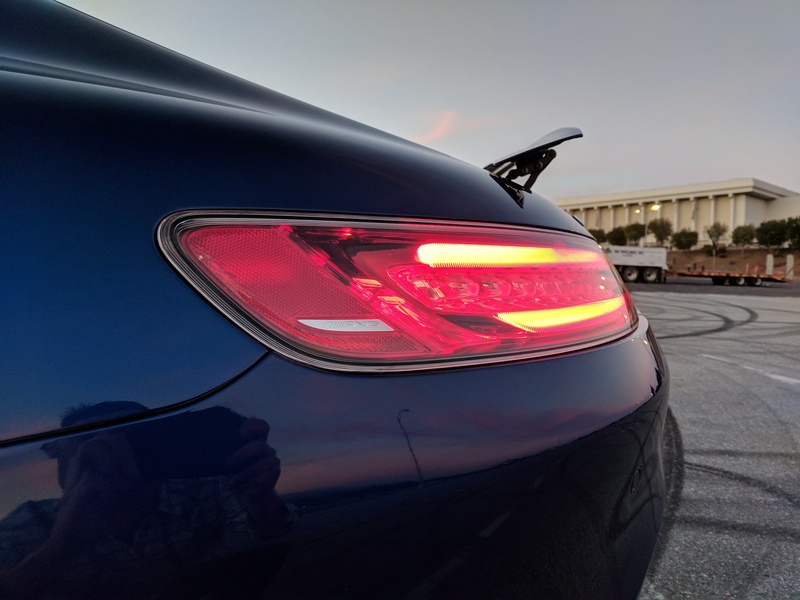 You can throw the Benz into the twisties like a sports car, or roast the staggered 19 and 20 inch tires like an I-880 sideshow, but high speeds and sweeping curves are where the car is most pleasant to drive. Much as the name implies, this is a fantastic grand tourer for long distances hours on end. There’s brute muscle when you want it, yet civil and quiet when you need it most. 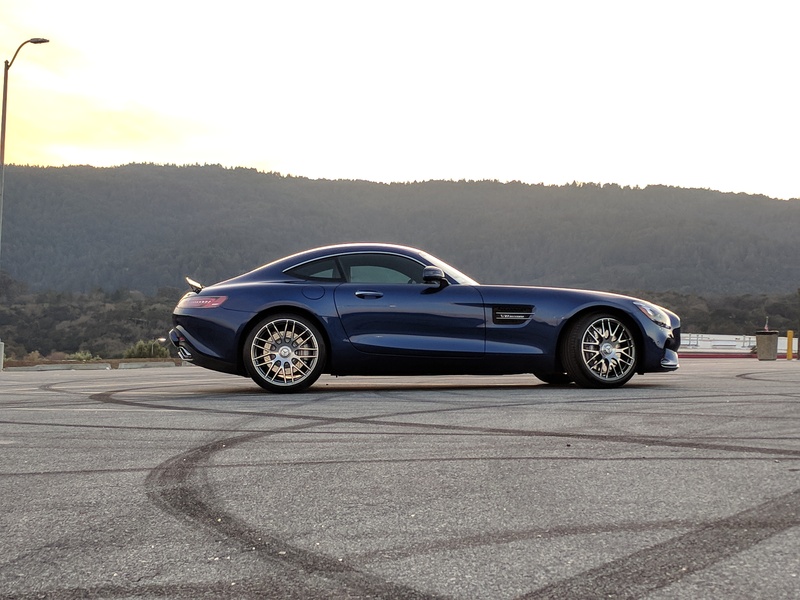 The AMG GT has perfected the multiple personalities. By no means is a $113k base price reasonable or practical to most people, but you do get a vehicle that puts quality first and foremost. To be fair, the same can be said about most of the current Mercedes lineup. 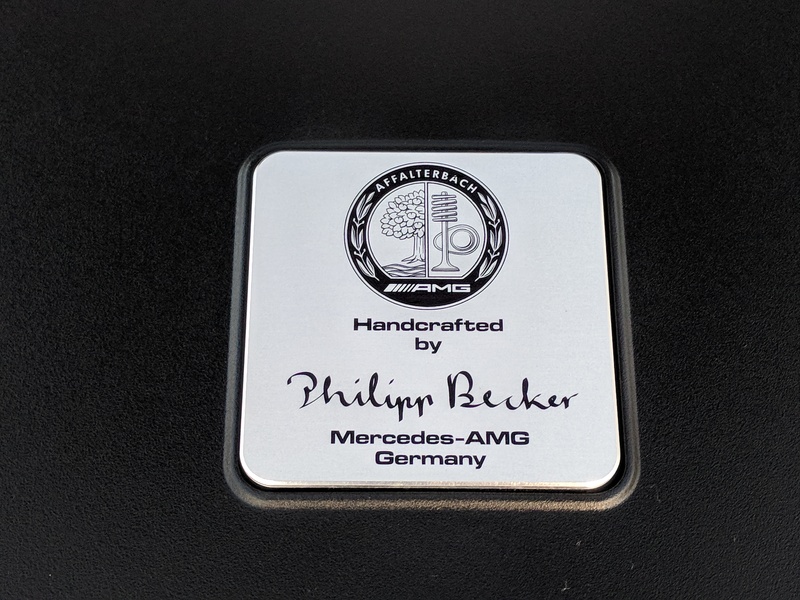 Aside from the entry level CLA, most new Benz products continue to instill the sense of being over-engineered. Nothing looks or feels flimsy, just you’d find in their older models. 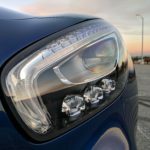 That’s also where the competition from Audi and BMW have fallen behind in their pursuits of the latest tech and style statements. 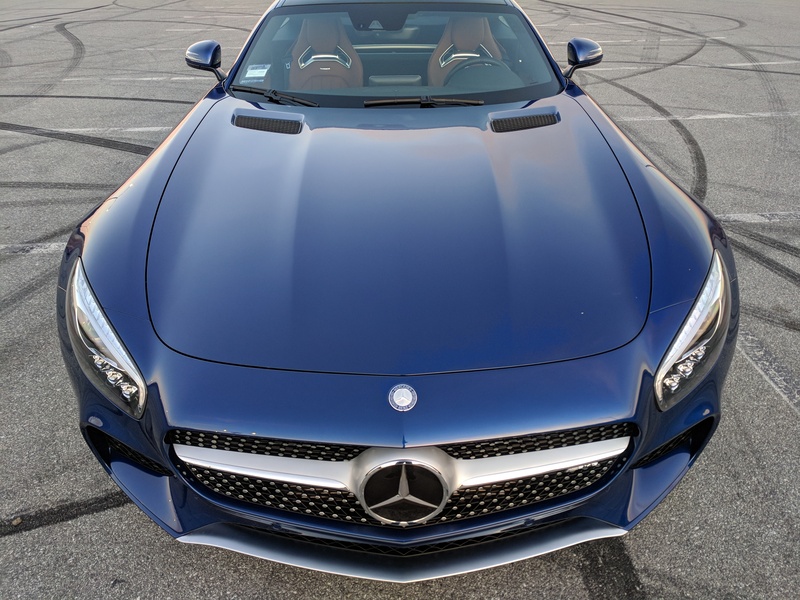 That’s not to say Mercedes doesn’t try to keep up, but it hasn’t completely distracted the brand from doing what it has always done: building luxury automobiles. 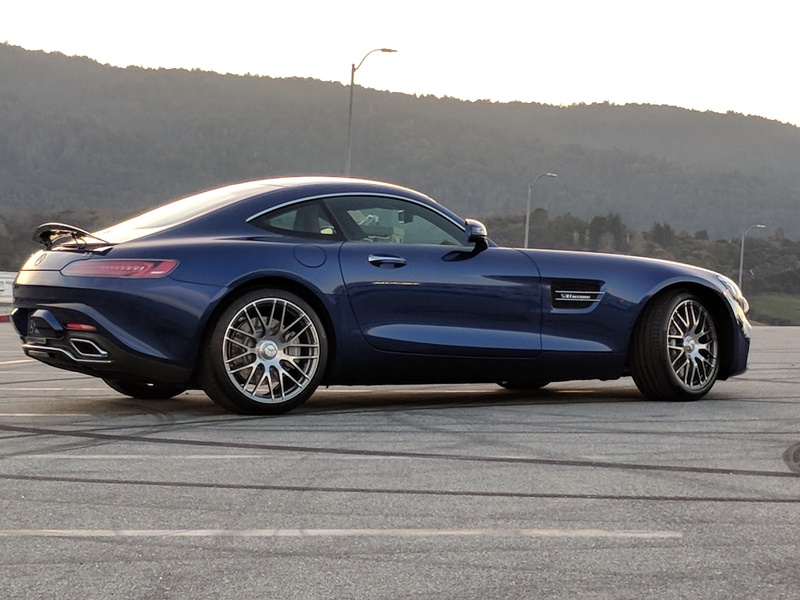 In this case, the AMG GT just so happens to be very good at other things as well. 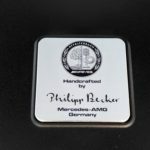 When all is said and done, I have to hand it to Mercedes for really setting the bar amongst the German automakers. 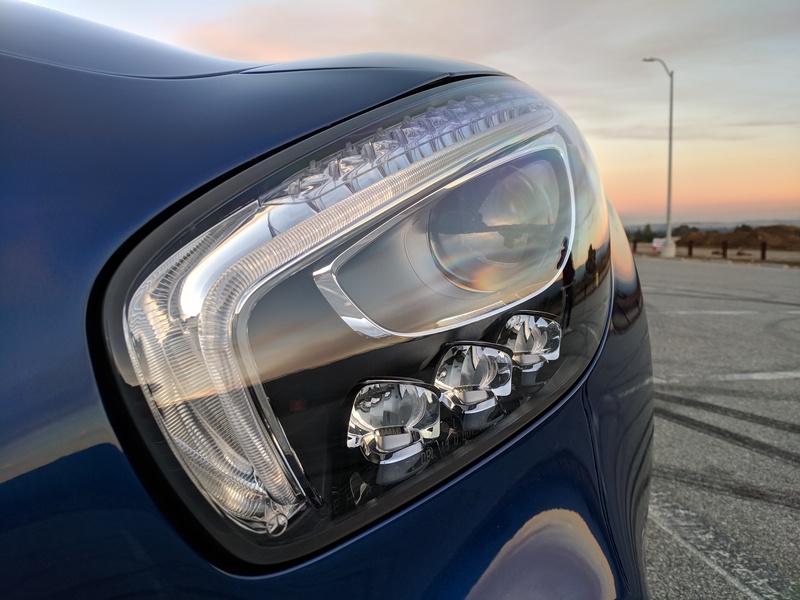 They’ve proven that a modern car can still feel well built, and modern technology won’t detract from the driving experience. 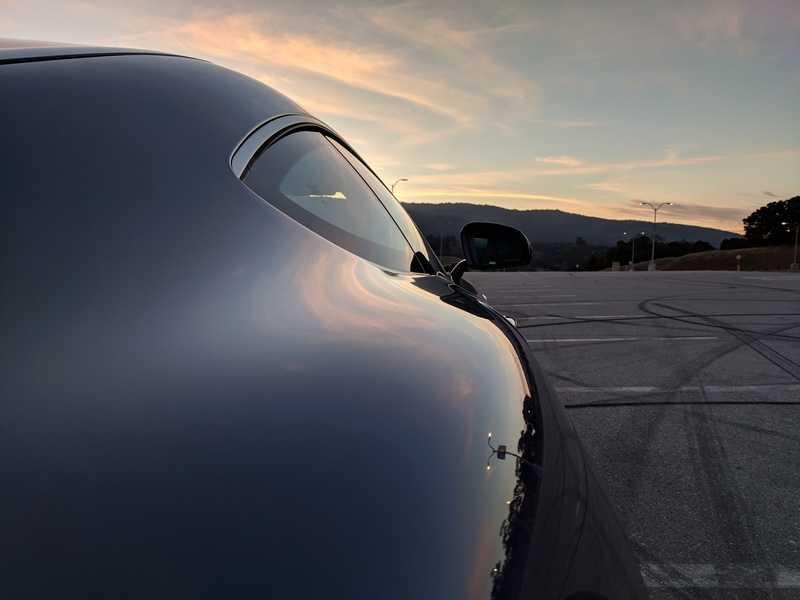 If none that is the least bit interesting, you can simply admire the lovely bodywork, and it wouldn’t even be rude to stare.